Mahorka resident Renzo Peressi (Venezuela) delivers another EP with his Abluonihil sound. We can describe it as micro and huge, harsh and musical at the same time. On the brink of being irritating the ear it is actually stimulating the brain. 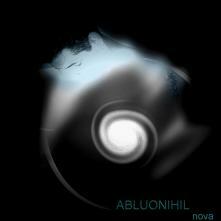 Now you can download our new release 'Abluonihil - Nova'.